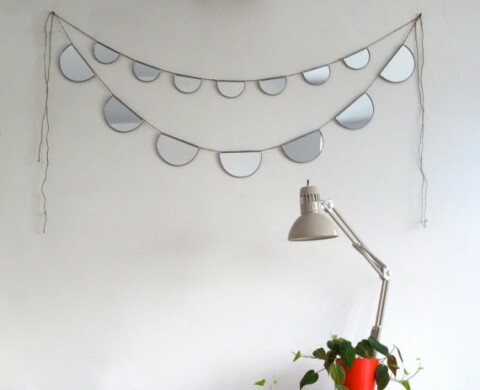 For a new take on the bunting (aka garland, aka banner) trend, take a look at the Mirror Bunting from fluxglass. Where the usual bunting adds color, this one adds light and sparkle. The two strands are sold separately, $58 for the large size and $44 for the small. 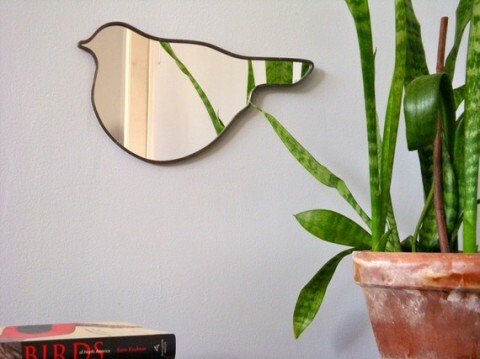 Fluxglass also make other fun shaped mirrors like state shapes, letters and this cute bird wall mirror.